Digital wireless bodypack transmitter offers rugged, metal construction with an ergonomic design for a comfortable fit. The GLXD1 bodypack transmitter is included in GLX-D Digital Wireless Systems. It combines automatic frequency management with true digital diversity for a rock-solid wireless signal with exceptional digital audio clarity. 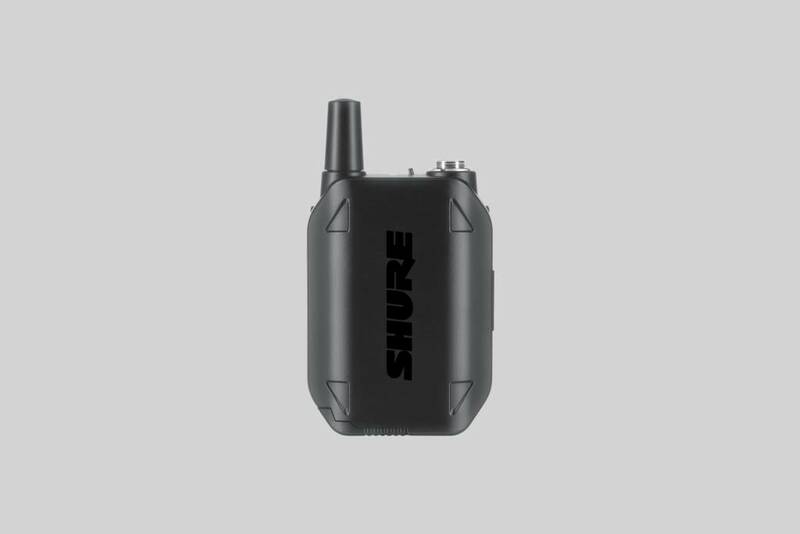 Shure proprietary Lithium-Ion rechargeable batteries provide up to 16 hours of continuous use. Depending on the operation mode, you will get up to 16 hours of continuous use and has an operating range of 20-30 m under typical conditions.